Captain Frederick Maryatt wrote a series of adventure novels. These included The Kings Own (1830) Peter Simple (1834) and Mr. Midshipman Easy (1836). He also wrote a number of children’s books including The Children of The New Forest (1847), a story of the English Civil Wars, a classic of children’s literature and has been serialised a number of times on television. One of his daughters, Emilia married Doctor Norris, mentioned earlier in 1865. She was a famous author in her own right and her mother lived for a time with her as is shown in a newspaper advert for the new Cottage Hospital instigated by her son in law on whose committee she stood in 1867. 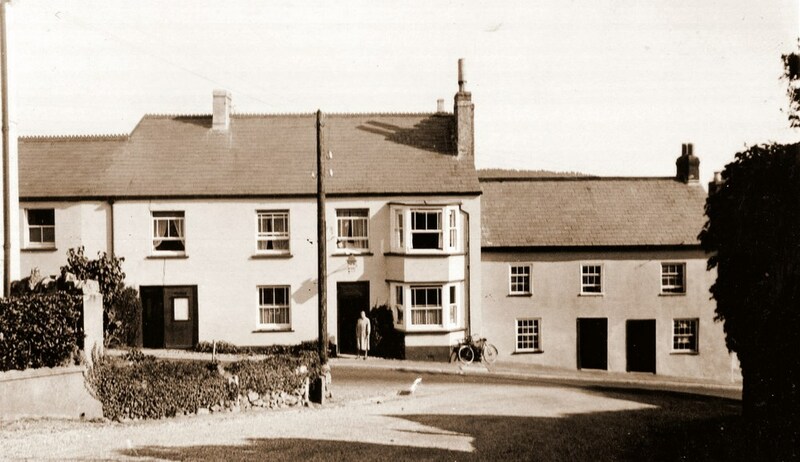 The hospital was just below the New Inn at the top of the Street where Charm and Heron Cottages are today. Another daughter, Caroline Celia Marryat was to marry George, son of Dr. Henry Norris a year earlier at St. Andrews Church. He also wrote a number of children’s books including The Children of The New Forest (1847), a story of the English Civil Wars, a classic of children’s literature and has been serialised a number of times on television. One of his daughters, Emilia married Doctor Norris, mentioned earlier in 1865. She was a famous author in her own right and her mother lived for a time with her as is shown in a newspaper advert for the new Cottage Hospital instigated by her son in law on whose committee she stood in 1867. 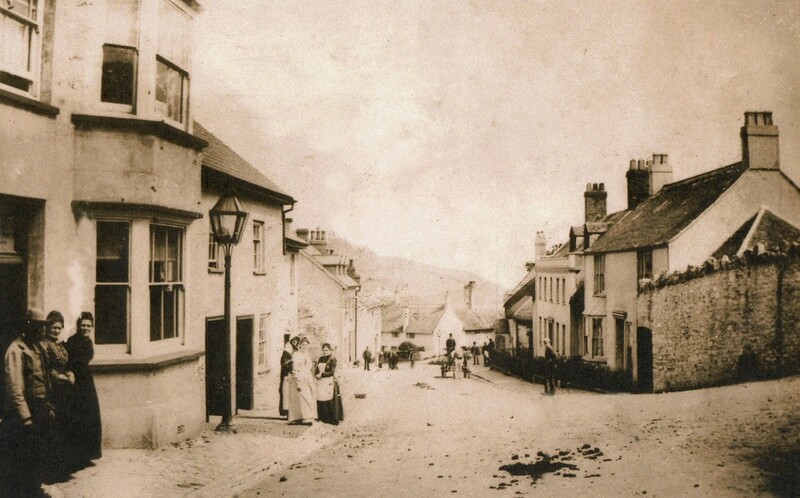 The hospital was just below the New Inn at the top of the Street where Charm and Heron Cottages are today. Another daughter, Caroline Celia Marryat was to marry George, son of Dr. Henry Norris a year earlier at St. Andrews Church. 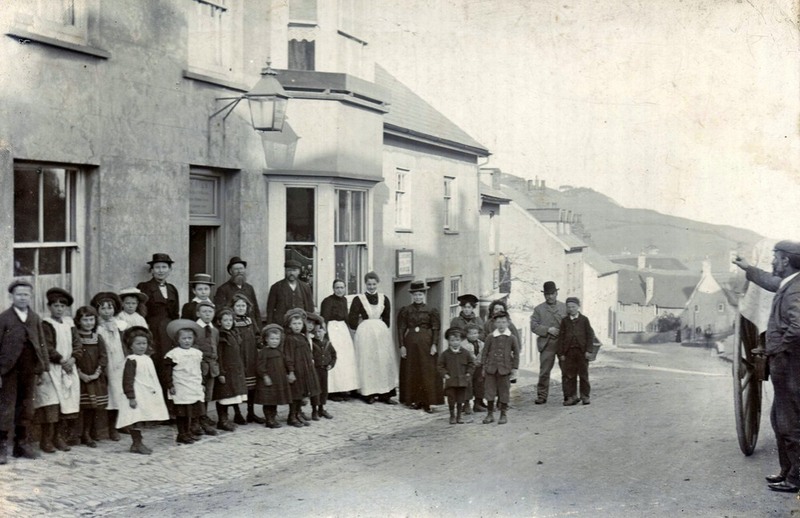 Reg Pavey writes:"In 1867 the two cottages below the Inn were used as a Hospital.A report which was found among some rubbish in 1939 is worth reading. One day in the 1880s Joe Taylor was thrashing with Bugler in Wootton and caught his hand in the machinery. 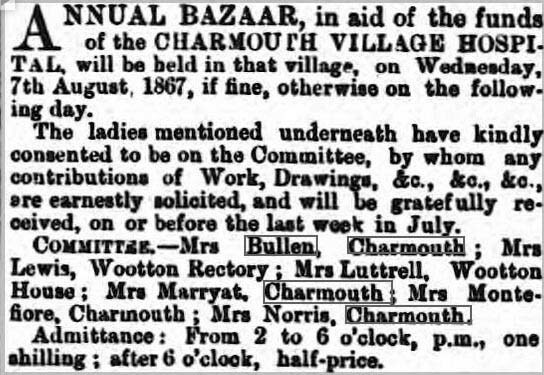 He was brought to Charmouth in a cart. Dr. Norris was out on his rounds and my father, a surgeon, was persuaded to amputate the arm. This was accomplished without an anaesthetic, while Mrs Pidgeon held the patient. Joe recovered and drove the Axminster bus with a pair of horses for many years, holding the reins and manipulating the brake with an iron hook. He was a strong man who was able to lift the luggage single-handed on to the roof of the bus".